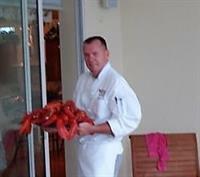 Chef Ray looks forward to consulting with you, and creating a memorible menu for you and your guests. Serving a romantic dinner by candle light to a larger event composing no more than what the redidence may hold comfotably. Visit chefrayllc.comor call me dieratly at 743-999-7430! This Member To Member Deal is promoted by GFLGLCC.